A heirloom gift that is designed to be passed down through the generations, we are pleased to share the perfect gift for the newborn or young child in your life. 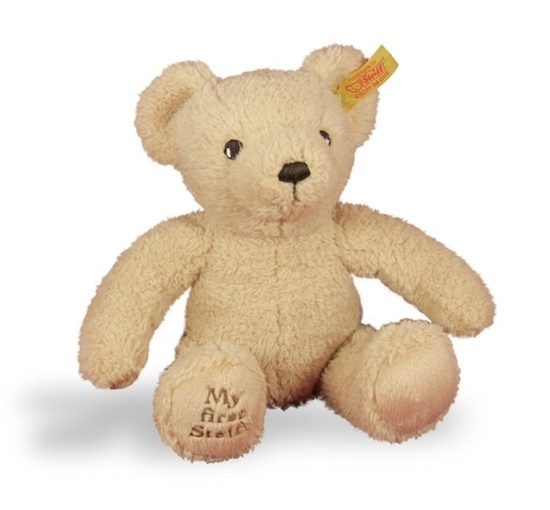 "My First Steiff" teddy bear is a soft, beige colored plush teddy that is ideal for baby's tender skin. This teddy is 9 1/2-inches tall and good for all ages. It is even machine washable. "My First Steiff" is embroidered on his paw. He will keep you warm, he will keep you safe, and he will always keep your secrets!